Birds may be small but the love they have for their young is mighty. They build elaborate and often intricate nests from the smallest items like grass or chafings and other items. 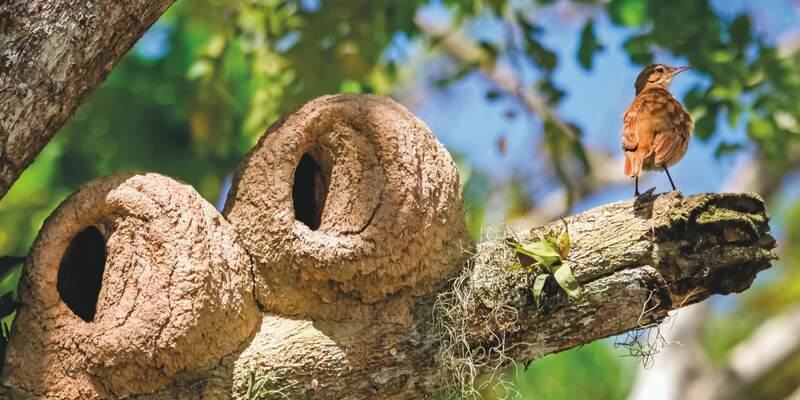 Even though their nests are only temporarily made to raise their young, they put their heart and soul into making it a meticulously built lush place that will be used to nurture their young. However, with the myriad personalities and natures of the birds, we observe various different trends of quirky and beautiful nests. The Different Types Of Bird Nests that we see in nature are wildly different from each other and depend a lot on the needs of the bird. From simple needs like safety and comfort to other needs like protection from predators, there are a lot of factors that affect how the best is designed. 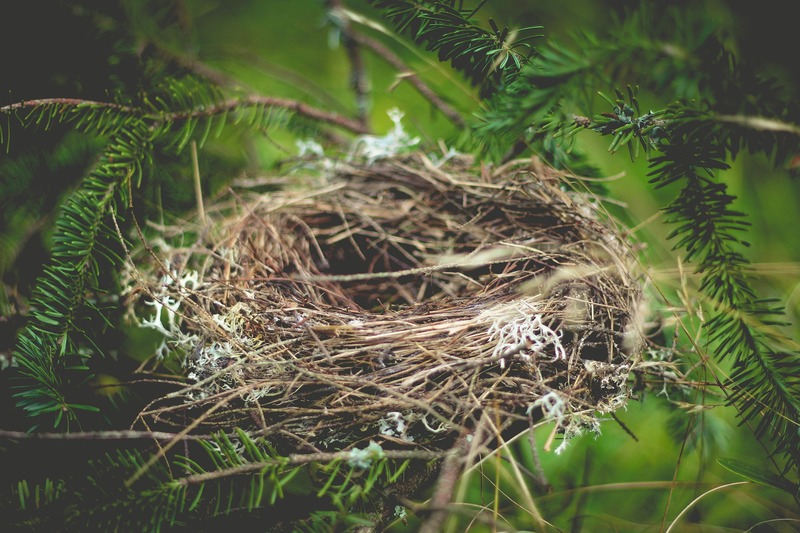 Here at Pets Nurturing, we will show you 5 very unique types of bird nests that are beautiful in their own ways. 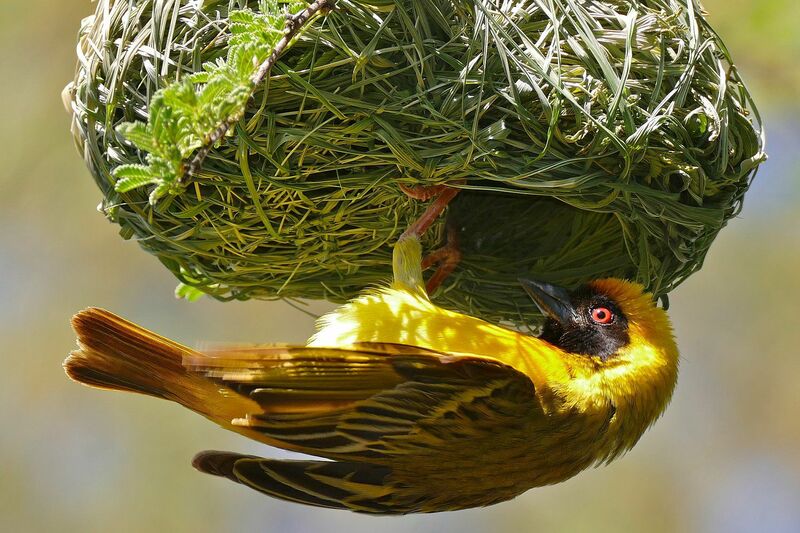 These birds build their nests to withstand abuse and stand strong for a long period of time. The bald eagle has been dubbed as the grand champion of nest builders because of their tendency to create nests that they use year after year. They use simple materials like grass or moss or even corn stalks that they combine and use to intricately design an elaborate nest that they keep on using by adding more and more intricacies every season. In some extreme cases, the bald eagles have been known to great nests that measured to be around 10 ft wide and almost 20 ft deep. (In the year 1963, Florida). Hummingbirds are extremely small and beautifully precious birds that build quaint and small nests. They generally choose to build in treetops or branches. However, the most unique feature of their nest is that it stretches with the newly hatched babies to accommodate them and their growth. 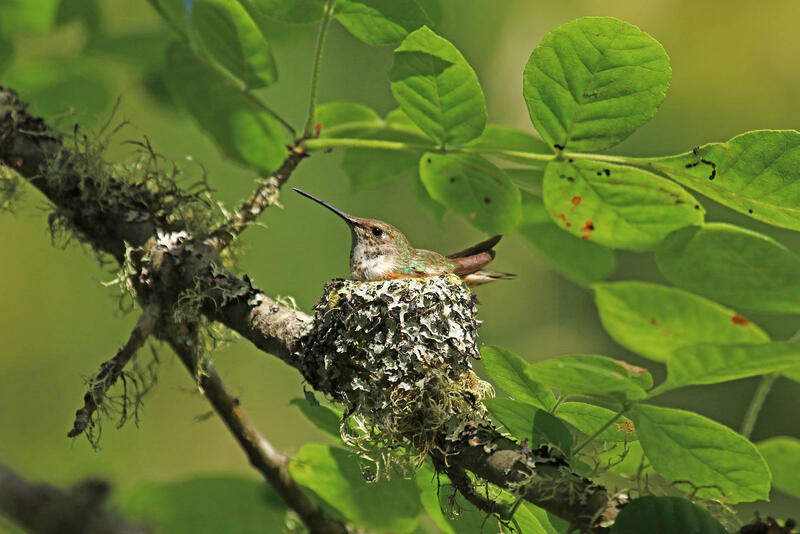 Hummingbirds use soft materials and even spider webs. Some may use lichens too. Their eggs are generally very small, almost the size of a black bean and the nests that they make are barely bigger in size but it makes the new hatchlings cosy by stretching to accommodate their growth. The best example of an intricate or elaborate nest is the one built by the females of the Oriole breed. 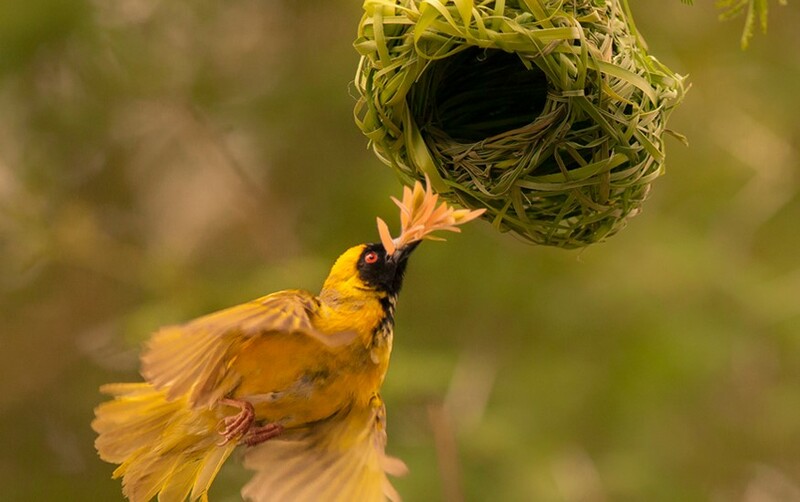 They are often dubbed to be the best seamstresses or tailor birds among all their fellow birds and they take long weeks to construct their meticulously planned nests using materials like long grasses or twine or even horse hair whenever it is available. They are not fussy over what type of material they use but they try to line their nests inside using soft plant fibres or even feathers. Their nests have a beautiful typical pendant shape that helps the nest to hang from the outer branches of the trees that they choose. Their nests often stand out during the seasons when trees shed their leaves but during the breeding season, there is plenty of covers to hide the nest. There are some lazy breeds of birds too. One of the best examples of such birds is the Killdeer. They simply lay eggs directly on the ground. 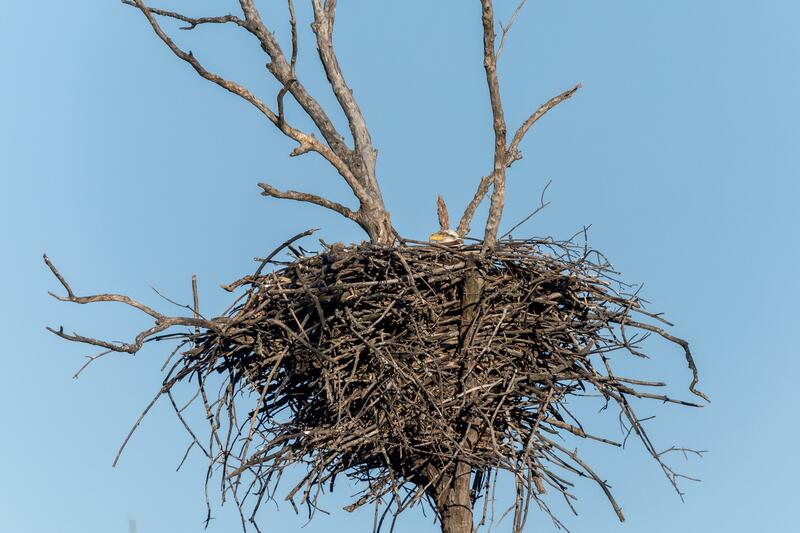 This is a very uncommon trait in the world of birds who spend weeks to build nests slowly and meticulously to provide their young with a safe and comfortable space. However, they don’t just randomly lay their eggs on the ground anywhere. There are some birds who nest in the beach by creating or making small grooves in the sand where they lay their eggs. Some examples include turns or skimmers or even plovers. 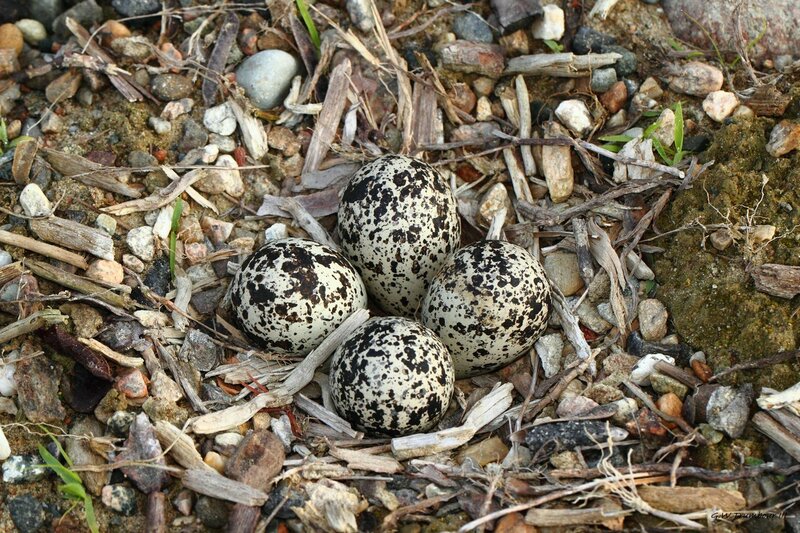 To ensure a degree of safety for their eggs, they have evolved so that they have remarkable colour camouflage or colouration. They even add shells or sand granules to add to the deception. There are a number of bird species that live near sharp rocky cliff sides and thus lay eggs on the rock faces. Some examples include the thick-billed murre or even the guillemots. According to Rolf Nussbaumer, thick-billed murres tend to simply lay eggs on the dangerously narrow ledges or faces of the steep cliffs where they live. 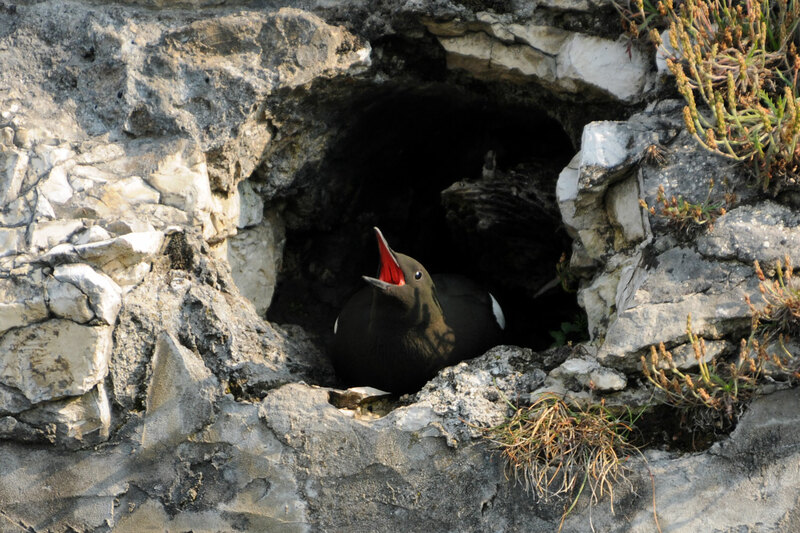 The types who nest on the dangerous coastal cliffs rarely have any specific structure or design to their nests. However, as a safety feature, they do have a slightly pointed end in their eggs that functions as a pivot that prevents the egg from rolling over the dangerously narrow ledges where the eggs lie. This is extremely essential as sometimes winds generate enough power to be able to push the eggs off the ledges and hurtle them to their deaths. An additional advantage to these nests is the strong protection that they have against aerial predators.